Our Man in Havana was written by Graham Greene and published in 1958. It is generally regarded as one of the funniest and best spy novels ever written. James Wormold is a vacuum cleaner salesman in 1950s Cuba. Wormold is unable to say no to his beautiful but wilful daughter, Milly, and her extravagances are driving him to bankruptcy. So, when an MI6 agent, Hawthorne, approaches Wormold with an offer of spy work, he accepts and is given the code name 59200/5. Unfortunately, he has no useful information. Desperate for the money, he makes up intelligence based on newspaper reports, which the British fall for. Seeing an opportunity, Wormold takes names from a list of country club members and invents an imaginary network of sources, all of whom need paying. Knowing that the British will lose interest unless he spices his reports up, Wormold sends sketches of vacuum cleaner parts, claiming they are a secret communist base in the mountains. In London nobody except Hawthorne, who knows Wormold sells vacuum cleaners, doubts the report, and Hawthorne doesn’t report his suspicions. Excited at the new intelligence, MI6 send Wormold a radio operator, Beatrice, who Wormold has to keep away from his imaginary sources, who now include a professor, an airline pilot and the Minister of Defence’s mistress. A person whose name Wormold has used for one of his imaginary sources dies in what looks like a car accident. It seems that the KGB have somehow got Wormold’s name and the names of his supposed sources. Wormold tries to warn some of the unwitting ‘sources’ causing even more confusion. This leads to the discovery that Dr. Hasselbacher has been forced by the KGB into decoding Wormold’s reports to London. However, the KGB action means that MI6 now have no doubts about Wormold. Our Man in Havana has a Mission plot (see Spy Novel Plots), though a rather unusual one, due to it being a comedy and the mission being subverted by Wormold – almost turning it into an On The Run plot as he tries to avoid exposure and assassination. 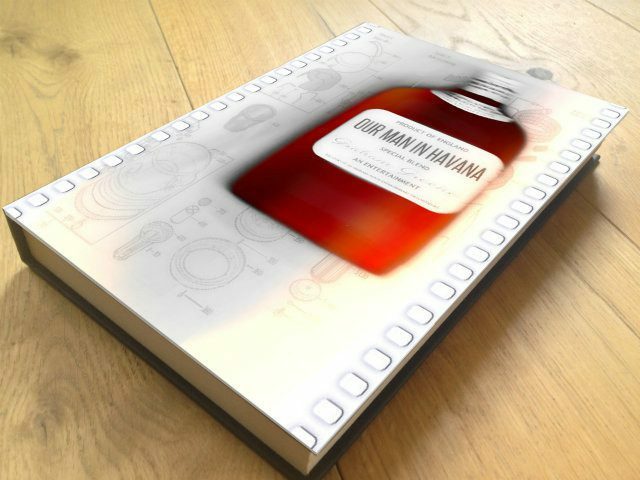 Our Man in Havana is a satirical novel about the absurdities of espionage and in particular the problems caused when fabrication of intelligence by sources is met by lack of critical evaluation in intelligence agencies. Graham Greene has a great writing style and Our Man in Havana drips with wit and sardonic one liners. But at the same time the tragedy of the story is believable. Wormold blunders through the plot, only just keeping all the plates spinning as he tries to extricate himself somehow from the mess he has got himself into with the KGB, MI6 and the Cuban secret police. My favourite comic scene is where the British are discussing the ‘secret communist base in the mountains’, which is really just sketches of vacuum cleaner parts. There’s also lots of quick-fire dialogue, particularly between Wormold, Milly and Beatrice. Is that Cifuentes [one of the imaginary agents]? Beatrice asked sharply. They both laughed, drinking daiquiris. It is easy to laugh at the idea of torture on a sunny day. Fabrication of information is a perennial problem for intelligence agencies. It’s also the subject of one of the short stories in Ashenden which was based on Somerset Maugham’s experiences as an MI6 agent during World War One. Our Man in Havana was loosely based on Graham Greene’s experiences as an MI6 officer in Portugal during World War Two, where Britain ran many agents sending the Germans disinformation. As the double-agents invented more and more sub-agents to enable them to send a wider range of disinformation, the Germans seemed to become more trusting. Originally the story was going to be more directly based on the true stories, but Greene realised that moving it to Cuba in the Cold War made the threat less immediate and so the story is more lighthearted and the satire more effective. During World War Two, one of the most effective British spies was a Spaniard called Juan Pujo Garcia, more commonly known as ‘Garbo’. He and his imaginary network of twenty-seven fictional sub-agents tricked the Germans into keeping their forces away from the crucial battlefront in Normandy by making up a story that the main invasion was to be in the Pas de Calais. For more details see Double Cross – How a British Spy called Garbo saved D-Day. Vacuum cleaner parts, bottles of whiskey and photography go to make up an unusual alternative cover. I loved this book. It’s a pleasure to read, and parts of it are just hilarious. 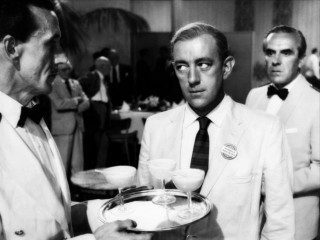 A movie of Our Man in Havana was released in 1959, directed by Carol Reed and starring Alec Guinness. The film is faithful to the novel, making only minor changes and adding some broader comic moments. Our Man in Havana is available on US Amazon here, and UK Amazon here. The movie is available on US Amazon here, and UK Amazon here. If you’d like to discuss anything in my Our Man in Havana review, please email me. Otherwise, please feel free to share it using the buttons below.